I will raise this to our developers as a feature request since it seems that you are not able to remove the CHECKED/UNCHECKED from the widgets properties. Once, if, this is implemented you will be updated in regards to it through this thread. Now I would like to suggest using the Gift Registry widget instead. 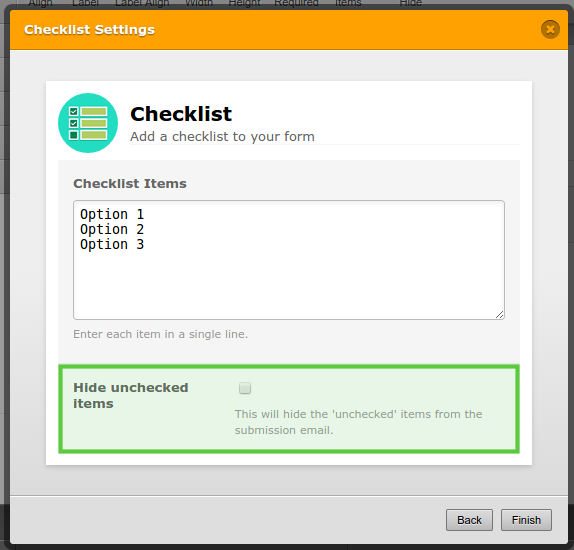 This would look like the checklist widget, but would only send you the email containing the selected items. Please try out the new feature and share your experience.